Mumbai: Lighthouse Fund, the consumer-focused private equity fund, has acquired a minority stake in Duroflex, a dominant mattress player in South India. 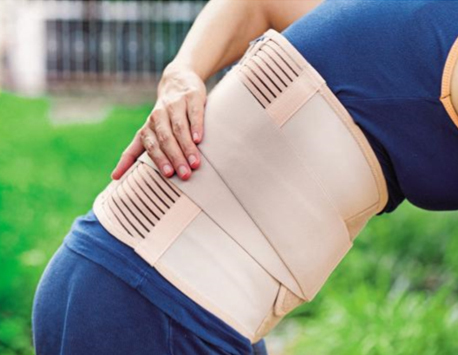 Orthopedic products rm Tynor Orthotics today said it has raised Rs 143 crore from private equity fund Lighthouse Funds and existing investor France-based Thuasne Participations. 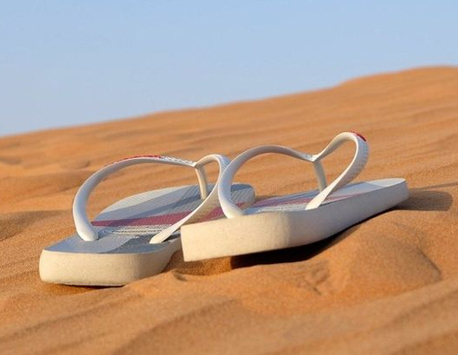 Lighthouse Funds, a mid-market focussed private equity fund and Thuasne Participations, France, together have invested Rs 1.43 billion in Tynor Orthotics Private Limited, which claims to be India's largest orthotic soft goods company. The investment will be used to accelerate Tynor's growth plans. Bikaji Foods International Ltd, a snacks maker which counts mid-market private equity firm Lighthouse Funds as an investor, is finalising plans to go public, two people close to the development told VCCircle. 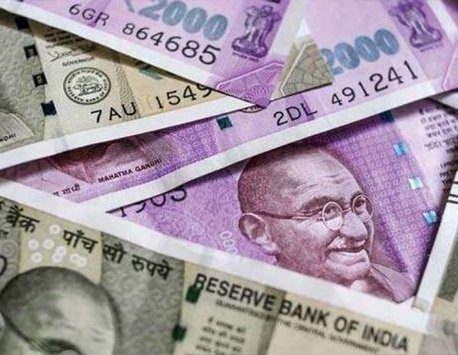 The Bikaner, Rajasthan-based company is looking to float an initial public offering (IPO) of about Rs 600- 700 crore to help fund its expansion plans, one of the persons said, asking not to be named. 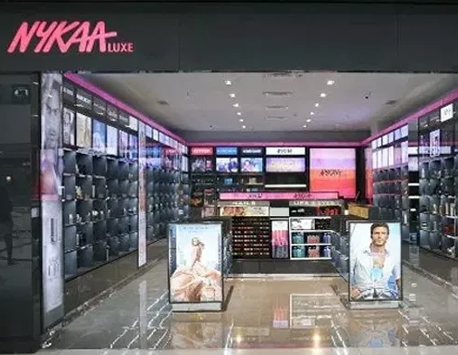 Lighthouse, a middle market private equity firm focused on growth investments in India’s consumer sector, on Monday said it has invested Rs76 crore in V2 Retail Ltd. 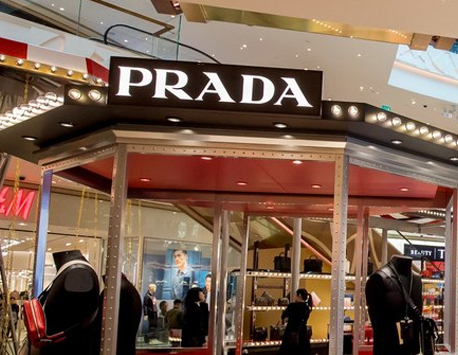 The investment will be used to accelerate V2 Retail’s store expansion plans, the private equity fund said in a statement. 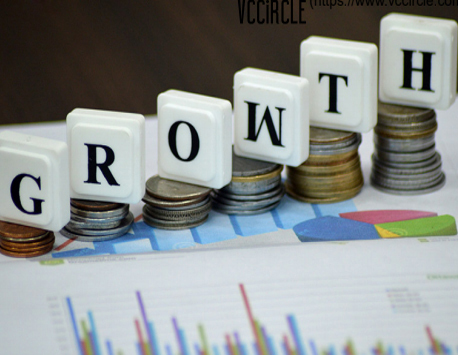 Delhi-based apparel retailer V2 Retail Ltd has raised Rs 76 crore ($11.7 million) from Lighthouse Advisors India, a middle market private equity firm focused on growth investments in India’s consumer sector. India-focused lower mid-market firm Lighthouse Funds is looking to tap more Asian capital for its latest offering, which it expects to launch by end-2017. Mumbai-based lower mid-market firm Lighthouse Funds is aiming to raise its third and largest fund by the end of the year. 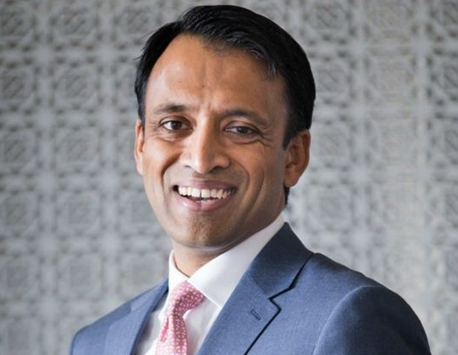 The firm is looking at a $200 million target for India 2020 Fund III, larger than the $135 million it raised for Fund II in 2014, as first reported by Deal Street Asia. प्र. आप की संस्था एक्सीड एजुकेशन किस तरह की ट्रेनिंग से शिक्षा व्यवस्था में सुधार लाने का काम कर रही है. उ. देखिए, सच्चाई ये है कि काम की दुनिया बदल चुकी है, लेकिन स्कूलों की दुनिया वैसी ही रह गई है जैसी पहले थी. इससे प्रमुख समस्या बच्चों को ये आ रही है कि जब वो काम करने जाते हैं तो जो स्किल्स (कौशल) उन्हें स्कूल में मिलते है वो काम नहीं आते. आज के दौर में राज्यों की राजधानियां याद करने, पहाड़े रटने से कोई ज्यादा फर्क नहीं हो रहा है. आप गूगल पर जाकर कुछ भी खोज सकते हैं. सवाल है कि नौकरियां किसको मिल रही हैं? तो जवाब है कि नौकरियां उसको मिल रही है जो परेशानी का हल निकाल सकता है. जिसको विश्वास है कि वो किसी समस्या का हल ढूंढ़ सकता है. जो कम्यूनिकेट कर सकता है. Fast food chain Wow! 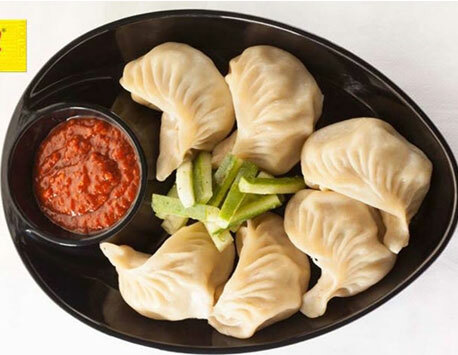 Momo today said it has raised Rs 44 crore in series B funding from venture capital firm Lighthouse Funds and angel investor group Indian Angel Network (IAN). 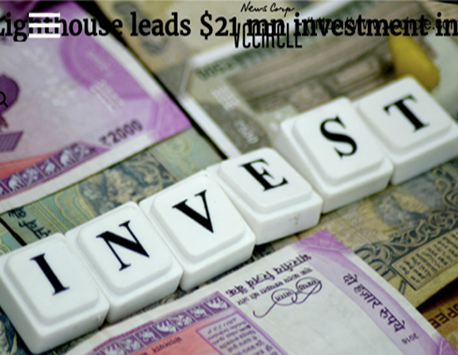 The latest round of funding led by Lighthouse Funds, which invests in mid-market consumer-driven firms, values the company at Rs 230 crore, the Kolkata-based firm said in a statement. Besides, it also provided "a highly profitable" exit to the tune of Rs 10 crore to some of the IAN investors who decided to sell their shares partly/completely to Lighthouse, it added. 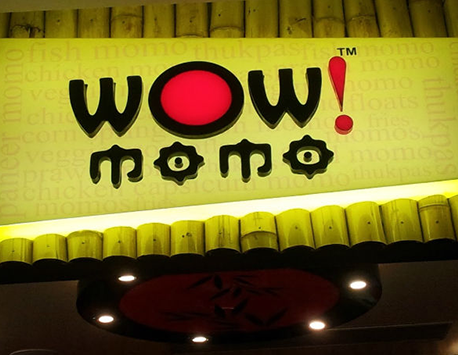 Wow Momo, which currently has 117 company-owned and operated stores across eight cities, is targeting to be in 180 cities over the next 12 months. 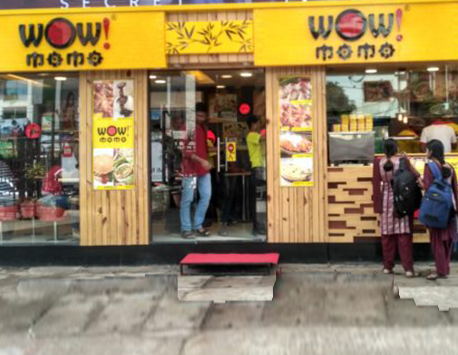 Kolkata-based Wow Momo Foods, which owns and operates quick service restaurant brand Wow Momo, has raised Rs 44 crore in a Series-B round from investors led by venture capital firm Lighthouse Funds. The latest equity financing round, which values the company at Rs 230 crore, has seen the company's first backer Indian Angel Network (IAN), the oldest and largest angel investor group in the country, partially exit the restaurant chain in less than two years. 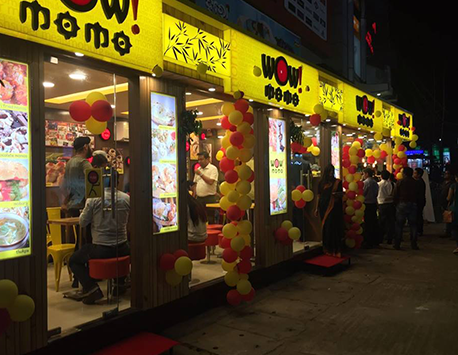 Kolkata: City-based fast food chain Wow! 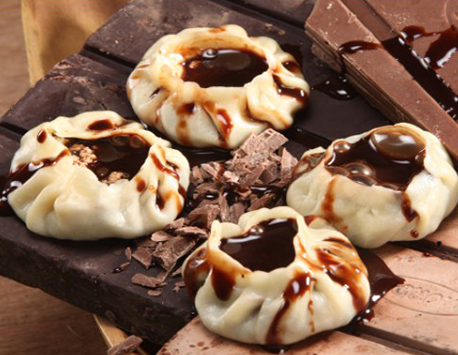 Momo is planning to tap the export market with frozen momos. The founder of Wow! 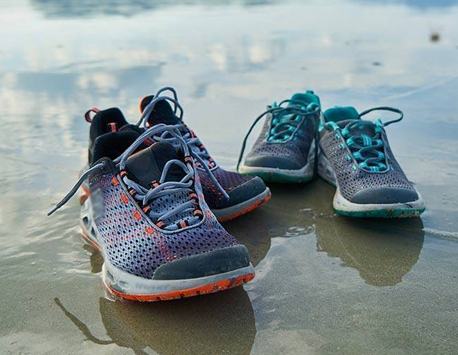 Momo, Sagar Daryani, told TOI that they have decided to venture into Europe and the US following creating a strong footprint in the domestic market. According to him, Wow! Momo has decided to set a momo plant at the Kasba Industrial Estate for exporting frozen momo to the UK and the US initially. The firm is investing Rs 10 crore for the project. India-focused mid-market private equity firm Lighthouse Advisors India Pvt. Ltd is investing in an eastern India-based quick service restaurant chain, at least two people privy to the development told VCCircle. Lighthouse, according to one of the persons mentioned above, is going to pick up a minority stake in Wow! Momo Foods Pvt. Ltd, the Kolkata-based chain of quick service restaurants. 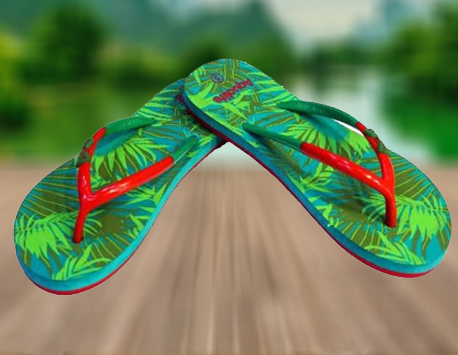 “The company is raising over Rs 40 crore ($6 million) in this round,” he added. 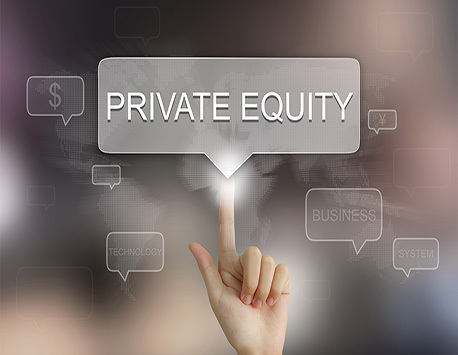 Indian mid-market private equity (PE) firm Lighthouse Advisors India Pvt. 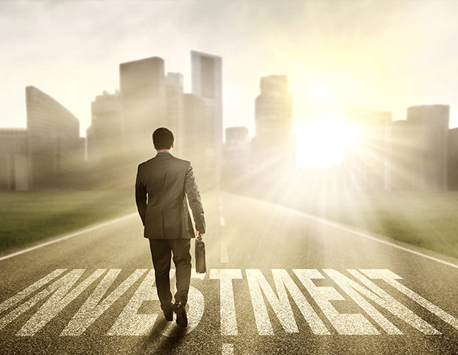 Ltd, which is currently investing out of its second fund, is making its first bet this year in a laminated sheets manufacturer. The fund is set pick a 10.4% stake for Rs 51.08 crore (around $8 million) in public-listed Stylam Industries Ltd, VCCircle has learnt. The deal values the company at around Rs 491 crore (around $76 million). An email query sent to Lighthouse did not elicit a response. Lighthouse Funds has disclosed it has put Rs 50 crore in Exeed and Rs 60 crore in SME lending non-banking finance company Capital Trust. 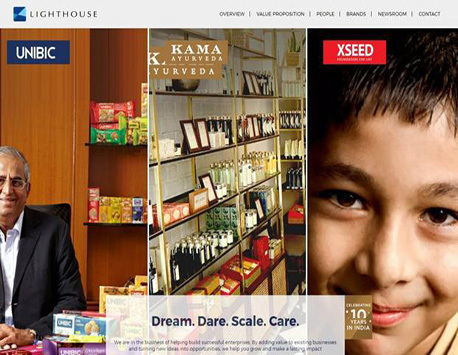 Deviating from investing in mostly brand-driven businesses, India-focused private equity firm Lighthouse Funds is now steering towards disruptive start-ups such as a primary education provider Xseed and Uttar Pradesh-based lender Capital Trust. 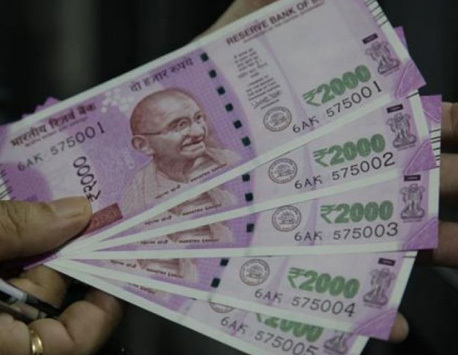 The firm, which had kept most of its investments from India 2020 Fund II under wraps, has disclosed it has put Rs 50 crore in Exeed and Rs 60 crore in SME lending non-banking finance company Capital Trust. 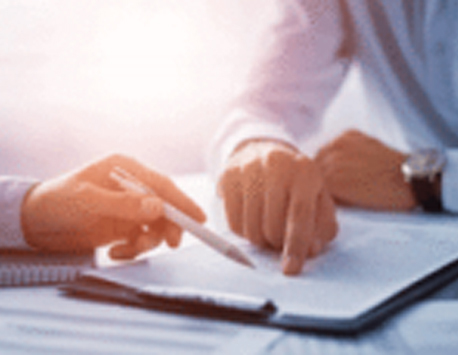 OrbiMed OrbiMed Advisors Llc, a US-based private equity (PE) fund, is in advanced talks to buy a significant minority stake in diagnostic chain Suraksha Diagnostic Pvt. Ltd, according to two people aware of the plans. The proposed round of funding—the company’s second—will see existing investor Lighthouse Advisors India Pvt. Ltd selling its minority stake and the fresh issue of equity of Rs.50 crore, said one of the two people. The round will raise around Rs.150 crore. Kolkata-based Suraksha’s enterprise value is around Rs.600 crore, the second person added. Neither wanted to be identified. Kolkata, May 2 () Sanitaryware major CERA Sanitaryware has plans to set up a new manufacturing facility in Rajasthan. "We are planning for a new tiles plant at Rajasthan and are in the process of getting the land. We expect construction to begin from December," Cera executive director Atul Sanghvi said here today launching a style studio here. It is, however, still not decided whether Cera will develop the plant alone or have a JV partner like it has done in its newly-installed tile plant at Nellore in Andhra Pradesh. IMD’s forecast of above normal monsoon is spreading cheers to many agriculture input companies. Many companies are also pinning their hopes on the second “Green Revolution” in the eastern India, which Prime Minister Narendra Modi has highlighted. Speaking to Bloomberg TV India, Dhanuka Agritech Ltd Managing Director MK Dhanuka says business prospects in FY17 have increased after the better monsoon forecast and the sales may grow more than 20 per cent. Launch of three new products coupled with capacity expansion in Jammu & Kashmir unit will also drive growth, he said. The District Industries Centre has given approval to Dhanuka Agritech’s Udhampur unit to double its capacity to 11,800 tonnes per annum. In an exchange filing on Wednesday, the company said it has also received permission from the J&K State Pollution Control Board to handle hazardous wastes for pesticide formulation and consent to operate the fresh expansion. The company said it can avail excise duty refund for a period of 10 years for the unit at Udhampur. Shares of Dhanuka Agritech ended 1.8 per cent up at ₹619.10 on the NSE. Shares of agrochemical company Dhanuka Agritech Ltd gained 3.7% on Tuesday after the firm surprised the Street by reporting a strong performance for the December quarter. Sales increased 15% from a year ago. Three domestic brokerage firms had forecast sales to rise in the range of 10-12%, so the revenue beat is not much. But it should be seen in the context of a weak agrarian economy. For instance, UPL Ltd, a large agrochemical company, reported a 17% drop in India revenue last quarter. Dhanuka Agritech plans to launch ‘Sempra’, a new-age weedicide for sugarcane, from the stable of its partner Japan-based Nissan Chemicals. The first of its kind product will be launched in Lucknow on Wednesday followed by Maharashtra, Punjab, Haryana, Karnataka and Tamil Nadu. The product was evaluated and recommended by six universities including UP Council of Sugarcane Research, Narendra Deva University of Agriculture and Technology, Faizabad (UP) and Vasantdada Sugar Institute (Maharashtra). Gujarat-basedsanitary products making company Cera Sanitaryware Ltd has entered into a joint venture agreement with Anjani Tiles Ltd for setting up a tiles manufacturing plant requiring an investment of $10.5 million in Andhra Pradesh, according to a stock market disclosure. The project, which will start in April 2016, will have an initial capacity of 10,000 square meters per day of tile production. Kolkata-based diagnostic chain Suraksha Diagnostics Pvt. Ltd has begun talks with private equity (PE) funds to raise at least Rs.200 crore for growth capital, said two people aware of the fund-raising plans. 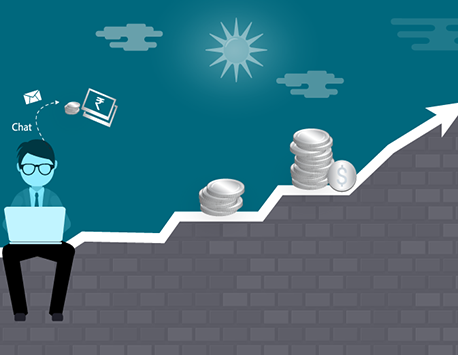 The company recently hired a Mumbai-based boutique investment bank for the fund-raising plan. They (Suraksha) have just launched the process to raise at least Rs.200 crore. 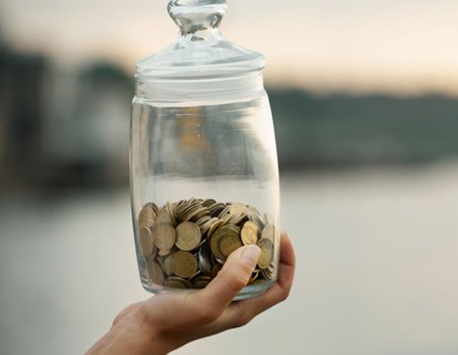 Mid-market India-focused private equity firm Lighthouse Funds has raised $138 million (around Rs 900 crore) for its fund India 2020 Fund II around two years after hitting its first fundraising milestone, a top executive told VCCircle. The fund had got a $42 million commitment from US government's development finance institution Overseas Private Investment Corporation (OPIC) late last year and the PE firm was targeting to raise $125 million in its second outing.Lighthouse Funds had raised its maiden fund 'India 2020 Limited' in 2008 with a corpus of $100 million. 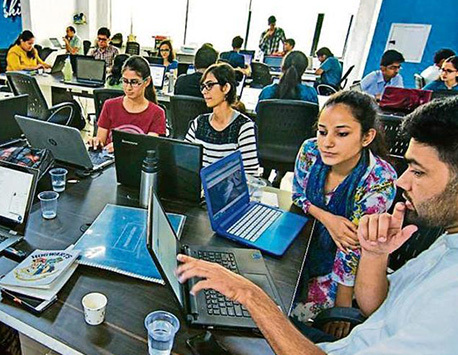 Singapore headquartered education firm Xseed, which has its development centers in Delhi and Bengaluru, has launched two new applications to enhance the teaching and learning experience of teachers and students respectively. The two applications are called Tapp amd Xseed Future. Tapp is a professional development mobile app to measure and help improve teachers’ skill while Xseed Future is India’s first bi-lingual programme to help teachers in aspiring English medium schools. New Delhi: Xseed Education Pte Ltd, a Singapore-based education company, on Tuesday said that it has acquired Pleolabs, a Delhi-based education technology start-up, for an undisclosed amount to expand its India offerings. 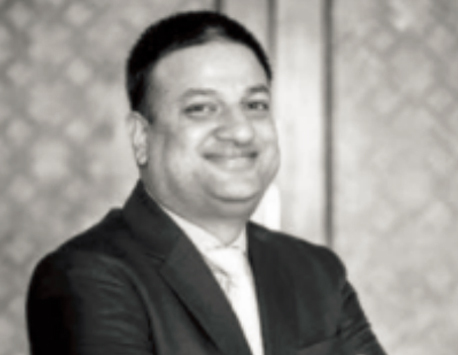 India is an interesting market from the school education point of view and education technology will be a key driver, said Anustup Nayak, vice-president, Xseed. 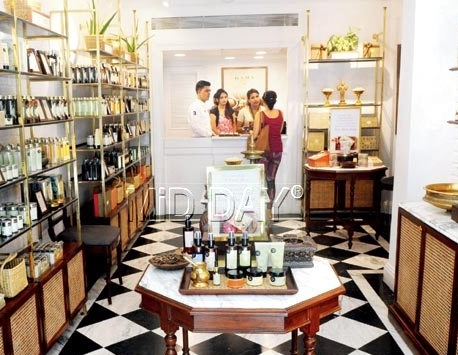 CHENNAI: How would it be to look beautiful, be healthy and feel good with natural, ayurvedic products? 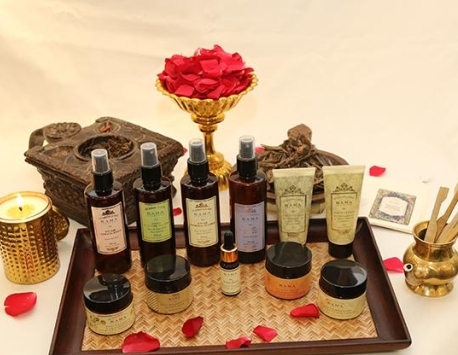 Cleansers, toners, moisturisers, hair oils, natural soaps and even incense sticks made from all things ayurvedic au natural are now available at Chennai too. Nestled in the heart of Warden Road, it is spread across 485 sqft and houses the brand’s bestsellers—everything from its famous Kumkumadi Miraculous Beauty Fluit to its new offerings like the Tulsi Soap. Lighthouse recently part-exited its investment in Dhanuka Agritech. 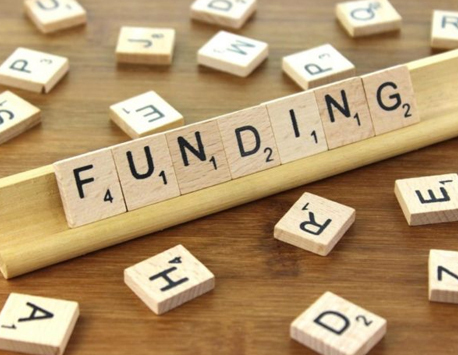 Mid-market private equity firm Lighthouse Funds plans to invest in Saharanpur (Uttar Pradesh)-based Indian Herbs Specialities Pvt Ltd, which is engaged in research and manufacturing of herbal animal health care products, in its second deal this year. 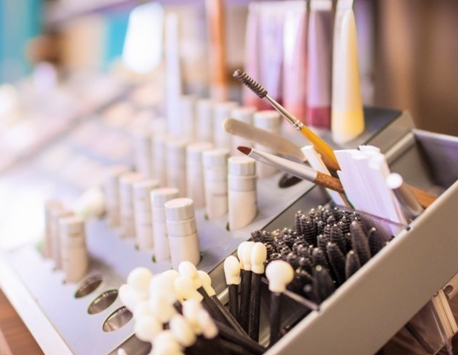 The PE firm intends to invest through a mix of primary issue of shares and purchase of stake from the company's promoters, as per its filing to the Foreign Investment Promotion Board, the nodal body clearing foreign investment proposals in India. 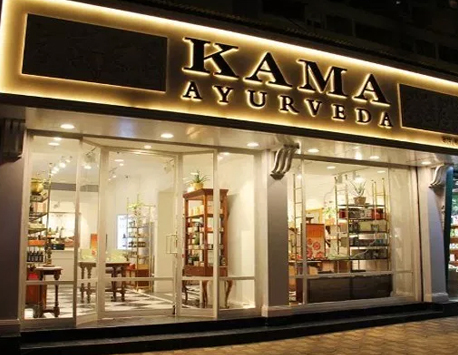 After making its debut in Mumbai with its first standalone store in the suburbs and a second in Goregaon, Kama Ayurveda opens doors to its third store today. This time, it brings happy news for its customers in South Mumbai. 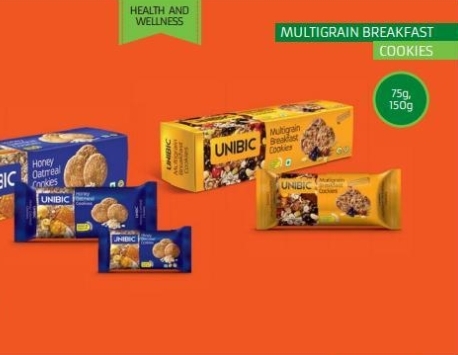 Bengaluru: Unibic Foods, known for its range of cookies, will expand its portfolio of Rs.10 biscuits in an attempt to gain share from the likes of Britannia and ITC at the lower end of the Rs.23,000 crore Indian biscuit market. The strategy shift will help the biscuit maker gain clout in a market that sees the bulk of its sales at lower price points. It will also help the decade-old company gain distribution advantage. Mid-market private equity firm Lighthouse has part-exited its over four years old investment in Dhanuka Agritech, a public-listed firm involved in the business of agro-chemicals & seeds, with a multi-bagger, it is learnt. Lighthouse had invested Rs 35 crore in Dhanuka Agritech in late 2010 through a preferential allotment which gave it 8.25 per cent stake. It started selling shares of the firm around a year ago and with the latest tranche early this week has divested a little over half of its stake. In the process it has pocketed around Rs 95 crore, with over 5x in gross returns in local currency. XSEED Education Pte, a Singapore-incorporated K-12 education solutions company, has signed an agreement to acquire the online education and learning management business of Pleolabs, a New Delhi-based education technology startup for an undisclosed amount, the company said in a press release. The deal is subject to customary closing conditions and is expected to close this month. XSEED Education , a Singapore based K-12 education startup has today announced an agreement to acquire the online education and learning management business of Pleolabs, an Indian education technology startup for an undisclosed valuation. 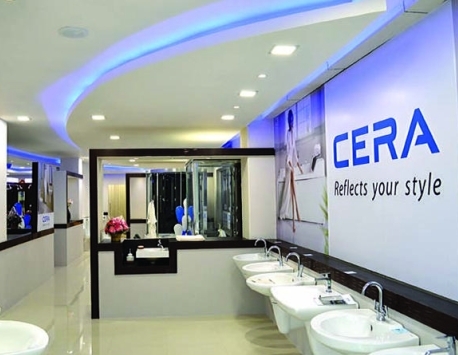 MUMBAI : Sanitary ware maker Cera Sanitaryware Ltd on Thursday announced that its board has given its approval to raise Rs.70.6 crore by issuing shares to India 2020 Fund II, the second fund of private equity (PE) investor Lighthouse Advisors India Pvt. Ltd, the firm said in a filing to BSE. Cera will issue 351,000 equity shares to the fund at a price of Rs.2,011.50 apiece on a preferential basis, the firm said in the filing. The firm’s board also decided to increase the aggregate limit of foreign institutional investor (FII) holding in the company from 24% to 36%. 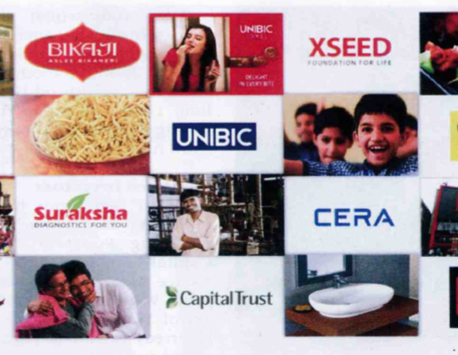 Cera Sanitaryware Ltd, one of the largest sanitaryware companies in India, is raising around Rs 70.6 crore ($11.5 million) from Lighthouse Funds' second private equity fund through a preferential allotment, as per a stock market disclosure. 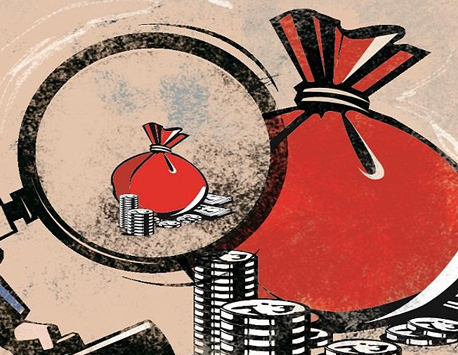 MUMBAI:Lighthouse Funds is close to raising its second private equity fund, India 2020 Fund II, which is targeting $125-150 million (about Rs 750-900 crore) to invest in mid-sized Indian companies. The Mumbai-based company's move comes after the US government's development finance institution Overseas Private Investment Corporation (OPIC) agreed to invest $42 million (Rs 250 crore) in the fund. It will bring the fund near the final close as it targets to finish fundraising by next quarter. 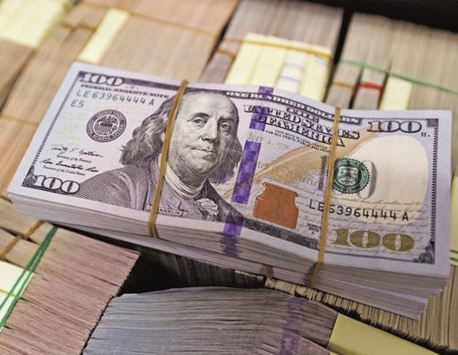 US government's development finance institution Overseas Private Investment Corporation (OPIC) has agreed to invest $42 million (approximately Rs 263 crore) in Lighthouse Funds' second private equity fund, India 2020 Fund II. Hindi poet Ashok Vajpeyi had once remarked that one half of Bikaner’s population is occupied with making bhujia and the other with eating it. His observation continues to hold true in the dusty, desert city where every third shop in the bazaars sells namkeen (savouries) and sweets. The stock of agrochemicals maker Dhanuka Agritech Ltd is showing no signs of exhaustion. After rising 61% in 2013, it has gained more than 80% so far this year. Steady growth and superior return ratios explain the climb. Notwithstanding the vagaries facing the agriculture sector, Dhanuka Agritech has managed to grow its business in a robust manner. Sales and profits more than doubled over the last five years. 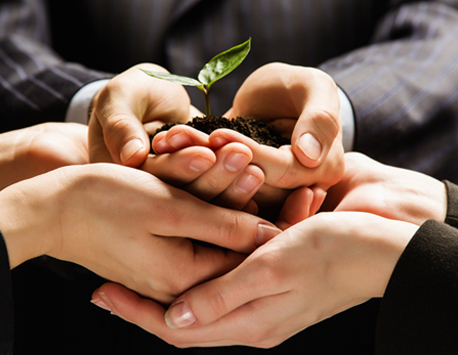 The company manufactures agrochemical formulations and focuses on distribution. It does not have a presence in the capital-intensive active ingredients business. MUMBAI: Private Equity firm Lighthouse Funds has purchased a 12.5 per cent stake in snacks maker Bikaji Foods International for Rs 90 crore, the company said Wednesday valuing the unlisted company at roughly Rs 720 crore. The Rajasthan-based snack maker will use the funds to expand its manufacturing and distribution to markets outside North India and to enter the fastest growing ready-to-eat food market. Economic Times had first reported the proposed investment on March 19. 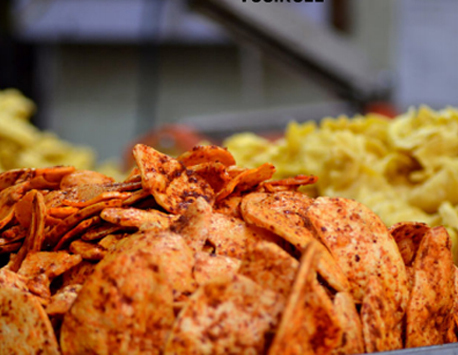 Mid-market-focused private equity firm Lighthouse Funds has invested Rs 90 crore ($15 million) in Rajasthan-based snacks maker Bikaji Foods International Ltd to buy 12.5 per cent equity stake in the company, sources familiar with the development told VCCircle. This transaction, which values it at Rs 720 crore, represents the first round of private equity investment in the privately held company. Earlier media reports citing sources had said Lighthouse Funds may pick 25 per cent in Bikaji Foods for Rs 120 crore. Plans manufacturing unit in Rajasthan, investing ₹50 crore. Dhanuka Agritech plans to set up a manufacturing unit in Keshwana village of Rajasthan with an investment of ₹50 crore. The debt-free company plans to fund its entire capital investment for the new unit through internal accruals. Cera Sanitaryware has entered into a marketing agreement with ECE Banyo, the owners of Italian Luxury Sanitaryware brand ISVEA for a period of 5 years, which can be extended later, exclusively for sales, distribution and marketing of ISVEA brand in India. 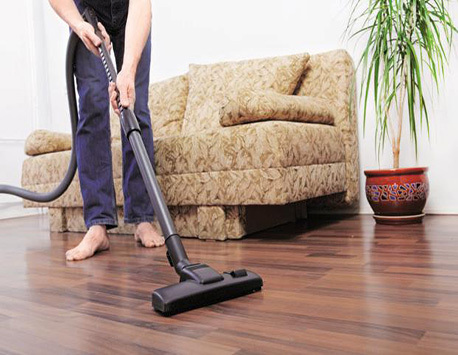 Products of ISVEA brand are designed by well-known Italian designers. The launch of ISVEA brand by the Company in India is expected by July, 2015. MUMBAI: Global private equity investor Lighthouse Funds will purchase a 25% stake in snacks maker Bikaji Foods International for Rs 120 crore, said two people with direct knowledge of the development. The Rajasthan-based snack maker will use the funds to expand its manufacturing and distribution to markets outside North India and to enter the fastest growing ready-toeat food market. 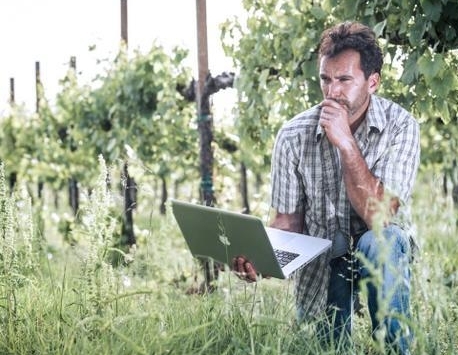 The ability to develop new agrochemical molecules for the farm sector has proved a key differentiator for Dhanuka Agritech, which has forged technical tie-ups with seven multinationals across the US, Europe and Japan. The company's expansive reach with one of the largest distribution networks in the country with 7,500 distributors is a major strength. Dhanuka Agritech builds only the formulation facilities while it purchases technical grade agrochemicals from MNCs or domestic companies. 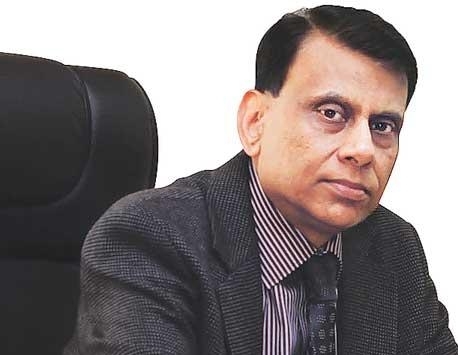 Cera Sanitaryware Ltd, one of the leading players in Indian sanitaryware market, plans to further increase the production capacity of its sanitaryware products to 3 million pieces per annum at its plant located in Kadi near Ahmedabad. The company currently has a production capacity of 2 million pieces per annum, which is already being expanded to 2.7 million pieces. The ongoing expansion is likely to be commercially commissioned by January 2013. Agro-chemicals maker, Dhanuka Agritech Limited (DAL) is planning to double its pesticides formulation capacity located at Sanand in Gujarat from the existing 21,000 tonnes per annum to about 42,00 tonnes. The company plans to invest about Rs 40 crore for the capacity expansion. The company decided to expand its Sanand capacity considering the rising pesticides demand particularly in the powder, granules and dust segments We are doubling the manufacturing capacity at our Gujarat facility. 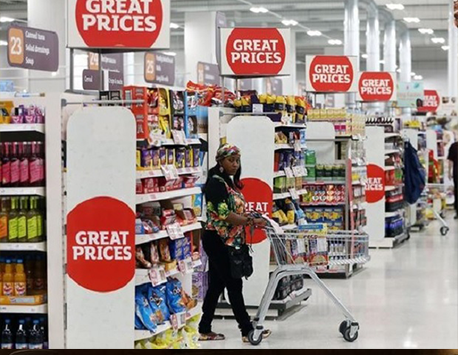 Australian biscuit major Unibic was in the headlines for most part of this year as an acquisition target for domestic fast moving consumer goods major Marico. The talks fell through. Unibic India is now trying to grab the headlines once again – this time for its efforts to carve a niche in the highly-competitive Rs 11,000 crore biscuits market in India. 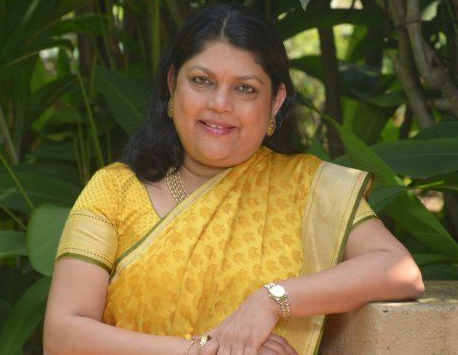 Mumbai: : iDiscoveri Education, an education company that partners with schools to improve learning methods and trains teachers, has raised $10 million from private equity firm Lighthouse’s India 2020 Fund in return for a minority stake. 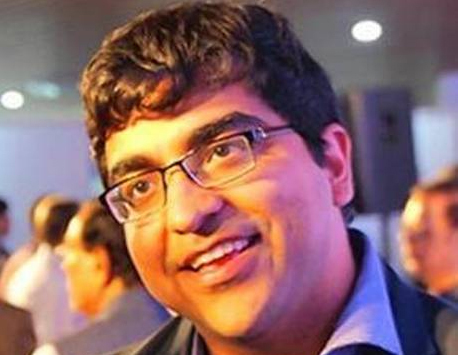 The funds will be used for expansion, said Ashish Rajpal, founder of iDiscoveri. “We have established a good proof of concept and now we will look to bring in new technology and take it across rest of India,” he said. 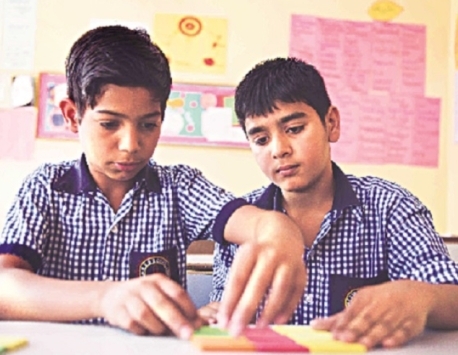 Gurgaon-based iDiscoveri Education today said that it has raised private equity funding from India 2020 Fund, managed by the Mumbai and New York-based Lighthouse Funds. iDiscoveri said that the fund will take a minority stake in the education services company. VCCircle reported last month that iDiscoveri was in talks with PE firms to raise around $10 million with Lighthouse leading the talks. iDiscoveri helps schools develop curriculum through its programme called XSEED and is also involved in corporate training. India 2020 Limited, a $125-million mid-market fund managed by Lighthouse Funds, is picking up a stake in BSE-listed Dhanuka Agritech for Rs 33.9 crore. Dhanuka, involved in the businesses of agro-chemicals & seeds, will allot 8,25,000 shares of Rs 411 each to 2020 Equity Investors Ltd, a subsidiary of India 2020, as per BSE filings. The shares could amount to around 8.25% stake on a post dilution basis. The board of Dhanuka has approved the preferential allotment and has called for an extra ordinary general meeting (EGM) on August 30. India's middle class may be growing, but its increasingly prosperous consumers have not entirely embraced the aspirational lifestyles seen in Western countries. Families only a few generations out of poverty still feel pressure to make sure their most basic needs are met before engaging in discretionary consumption. "You'll hear people say this phrase, ‘Roti kapda aur makan.' 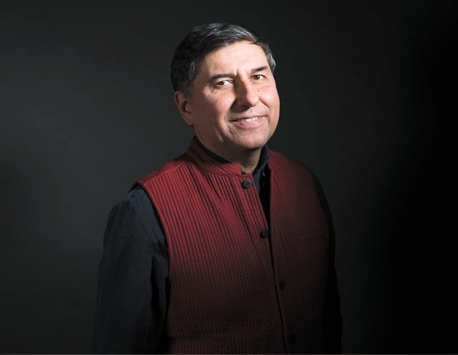 Roti means bread, kapda aur makan is clothing and housing," says Mukund Krishnaswami, managing partner at midmarket-focused Lighthouse Funds India.